RESIDE Worldwide, Inc. announced today the creation of the first dedicated Alternative Accommodation Real Estate Platform with a mandate to aggregate a national portfolio of assets that blur the lines between apartment and hotel. In support of this, Derrick P. LaRosa joins RESIDE as Executive Vice President. LaRosa will focus on two of RESIDE’s key initiatives - property acquisition and asset management. Derrick truly understands the alternative accommodations space and brings a well-rounded viewpoint on what it takes to create value for investors and owners. RESIDE Worldwide, Inc. (RESIDE) announced today the creation of the first dedicated Alternative Accommodation Real Estate Platform with a mandate to aggregate a national portfolio of assets that blur the lines between apartment and hotel. In support of this, Derrick P. LaRosa joins RESIDE as Executive Vice President. LaRosa will focus on two of RESIDE’s key initiatives - property acquisition and asset management. 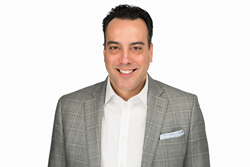 Derrick brings 20 years of experience in real estate and corporate finance with specialized experience in acquisitions, asset management, capital markets and strategic business development. Over the course of his career LaRosa has participated in the acquisition and development of over 1,000,000 square feet of residential and hospitality assets as well as the asset management and portfolio oversight of over 2,000,000 square feet of residential and alternative housing product. “The opportunity to invest and manage dedicated assets is where we see the growth potential in the alternative accommodations space,” said Derrick LaRosa. “RESIDE is perfectly positioned to leverage its operating platform to strategically select, acquire and operate assets that deliver outsized returns to investors while enhancing the guest experience, making it a true win for all parties,” he continued. For more information, please contact Jocelyn Quall at jquall@staywithreside.com or call (206) 460.1920.